Go Green in 2018! It's this easy! I’m sure a lot of you woke up on the first day of 2018 asking yourselves “how can I make a difference?”. Well, it’s this easy! It doesn’t matter if you are a girl or a guy, this information is for absolutely everyone! Read it, digest it and share it with your loved ones. 1) Did you know we use and throw away enough plastic PER YEAR to circle the earth 4 times?! Or that this plastic and waste takes approx 500-1000 years to degrade, which means it will sit on landfills for that long or will find its way into our oceans and kill sea earthlings precious to human survival? Solution? Reduce your consumption and plastic use! 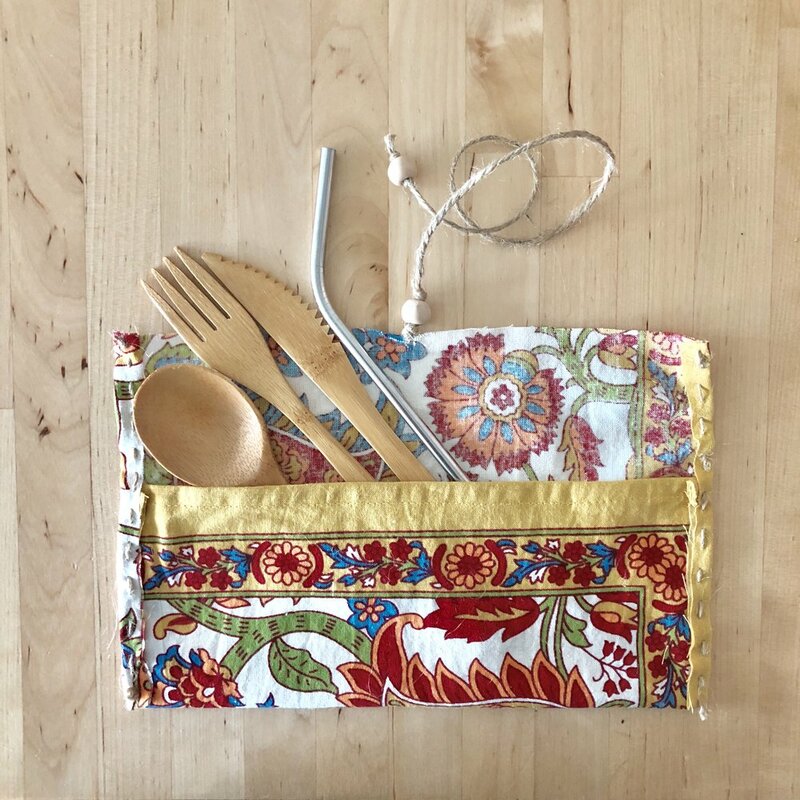 I carry my bamboo utensils and metal straw in my bag at all times and say no to plastic ones whenever I’m on the go. That easy! If you have them with you, you'll never have to ask for plastic ones when eating at restaurants or buying ToGo food. 2) Did you know tampons and pads carry chemicals, odor repellents, plastic, petroleum, bleach and other life-threatening and cancer-inducing ingredients? Yes, I know...talking about a woman’s period is “gross” but it should NEVER be a taboo! What’s gross is everything we are putting in our bodies without knowing about it! Women, in their lifetimes, will use 16,800+ tampons and pads! Some of these pads are made with plastic equivalent to 4 plastic bags! A woman uses 2-4 pads per day during her mother-nature-called days.... Do the insane math! And yes, there’s the option to buy organic feminine products but those products, once used, will eventually find their way into our landfills and oceans too. Solution? 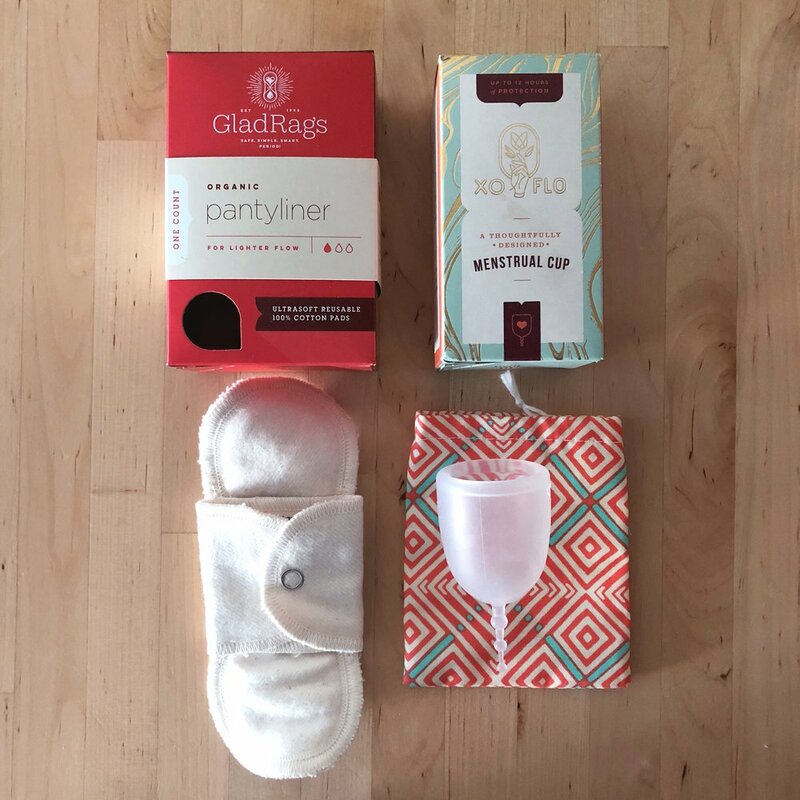 Menstrual cup! I know it looks scary but it was the best advice I received in 2017! I love it, I take it with me everywhere (even on my trips), it takes my cramps away every single time, and it is safe, hygienic and eco-friendly. Plus, you buy one and it lasts for... YEARS! Protecting your body from toxic chemicals, and helping you- beautiful goddess- produce LESS waste! The brand I use is called GladRags, and they donate feminine products to girls in need with each purchase you make. They also sell pads made of cotton fabric. These are just a few of my green secrets. What are yours?